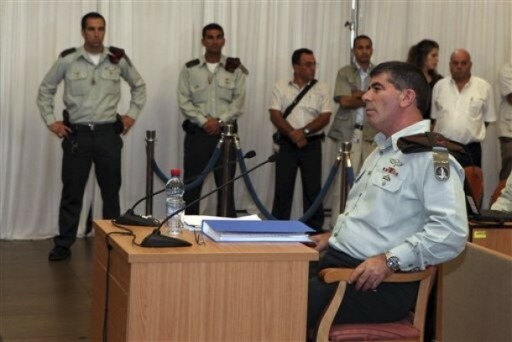 October 24, 2010 (KATAKAMI / JERUSALEM POST) — IDF Chief of Staff Lt.-Gen. Gabi Ashkenazi appeared a second time in front of the Turkel Commission on Sunday to continue his testimony regarding the Mavi Marmara affair. He took great pains during his time before the committee to reiterate previous statement’s that the naval commandos who boarded the ship took extraordinary measures to minimize the violence on the ship and that the blame for the fighting that broke out on the ship rested squarely on the activists’ shoulders. Ashkenazi repeatedly emphasized that the soldiers acted in a measured manner and only hurt those whose behavior necessitated physical force. “There was no demonstration of peace activists [on the Mavi Marmara]. Peace activist do not know how to operate a weapon or to operate with gas masks and bulletproof vests in the middle of the night,” Ashkenazi said. Also on Sunday, the Turkel Commission announced that it would welcomed testimony from any passenger who was on the Mavi Marmara on the night of May 31, 2010 and who has relevant information that could shed light on the incident. In September, Ashkenazi warned that any resistance on board flotillas bound for Gaza could lead to more casualties. “If we see large ships bound for Gaza and force is used then we do not dismiss the possibility of casualties,” he said. October 24, 2010 (KATAKAMI / HAARETZ) — Ashkenazi testifies before Turkel Commission, defends IDF decision to rappel commandos onto deck of Gaza-bound Turkish aid ship where 9 activists were killed. 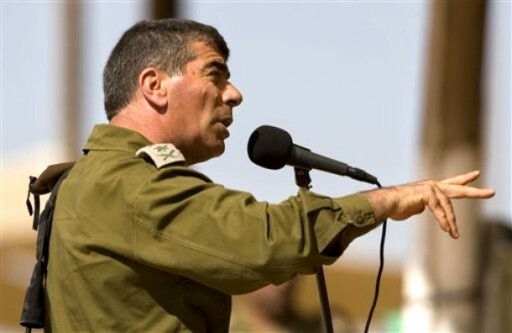 Israel Defense Forces Chief of Staff Gabi Ashkenazi once again on Sunday defended Israel’s decision to rappel Israeli commandos onto the deck of a Gaza-bound aid ship on May 31, where ensuing clashes resulted in the deaths of nine Turkish activists. Testifying before an investigations committee probing the deadly events, Ashkenazi said that Israeli commandos had fired 308 live bullets aboard the ship to repel passengers who attacked them with lethal weapons, including a snatched Uzi machine pistol. In a sometimes testy second round of testimony before the state-appointed inquest, the Lieutenant-General insisted the navy’s killing of nine Turks on the converted cruise ship Mavi Marmara had been unavoidable. The Mavi Marmara was one of several boats, laden with supplies, aiming to violate Israel’s blockade on the Gaza Strip. Israel informed the organizers of the flotilla that the ships would not be allowed to reach the Gaza shores, and soldiers boarded all the ships to compel them to change course. Ankara, which wants compensation and an apology from Israel, has dismissed the Turkel panel as too lacking in scope. The probe commission has solicited testimony from Mavi Marmara passengers – many of whom insist the commandos’ onslaught was unprovoked – and signaled it may probe Israel’s navy deeper. Ashkenazi said 308 live rounds were fired by the troops. A top aide to the general told Reuters 70 of these were aimed to cause injury, while the rest were warning shots. That appeared consistent with Turkish forensic findings that the nine dead activists were shot a total of 30 times, and there were gunshot wounds among another 24 passengers who were hurt. “Those who are asking questions [about tactics] should propose an alternative solution,” Ashkenazi said. Ashkenazi said passengers grabbed three Glock handguns and an Uzi machine pistol from commandos whom they overpowered. The troops had been dropped from helicopters onto the crowded ship as it ploughed through Mediterranean high seas at night. Mavi Marmara activists have said any guns taken from the troops were disposed of, rather than used. Ashkenazi said commandos had fired some 350 beanbag rounds and non-lethal paintballs, all according to “protocol.” The navy opted against rubber bullets – a mainstay of Israel’s tactics against Palestinian demonstrations on land – because of a lethal risk within the Mavi Marmara’s confines, Ahkenazi added. Ashkenazi, who is scheduled to retire early next year, made clear that he had returned to testify in order to spare scrutiny from subordinates, including the admiral in charge of the navy. Bristling at Turkish and other foreign fury over the Mavi Marmara raid yet wary of international war crimes suits, Israel set up the Turkel Commission to help prepare its submission for a separate probe under United Nations Secretary-General Ban Ki-moon. Ashkenazi, a career infantryman, said the commission had received “word for word” accounts from marines, including two who were shot and wounded upon boarding. But he also seemed to make allowances for the haze of melee. “I won’t take issue with a soldier who might confuse a slingshot, and the whizz its missile makes as it flies past, with a pistol, during night-time,” he said. JERUSALEM, ISRAEL – JUNE 27: In this handout image provided by the U.S. Embassy Tel Aviv, U.S. Chairman of Joint Chiefs of Staff, Admiral Michael G. Mullen (L) meets with Israeli Defense Minister Ehud Bark June 27, 2010 in Jerusalem, Israel. (JERUSALEM POST) IDF Chief of the General Staff, Lt. Gen. Gabi Ashkenazi, met with the Chairman of the Joint Chiefs of Staff of the United States Military, Admiral Michael G. Mullen in Jerusalem on Sunday. The two of them held a private meeting, as well as a larger discussion with senior commanders of the General Staff. The meetings focused on the cooperation between the two militaries and on mutual security challenges, according to IDF spokesperson. At the end of the meetings, Lt. Gen. Ashkenazi commented that the two of them completed a professional conversation on a number of topics, mutual challenges and issues on the agenda. Defense Minister Ehud Barak greeted Mullen earlier on Sunday and expressed Israel’s gratitude for the US’ contribution to Middle Eastern and Israeli security. “We are happy to welcome chairman of the US Joint Chiefs of Staff, Adm. Mullen to Israel for a brief work visit,” said Barak. Admiral Mullen emphasized that he always extends his knowledge when visiting Israel. “I always try to see the threats and the challenges from an Israeli perspective,” he said, and added that while the interests at hand are specifically Israeli, they are also important for the United States in the area. Sunday’s trip is Mullen’s fourth visit to Israel. Before his first visit in 2007, a chairman of the joint chiefs had not visited Israel in a decade.